Recently, your broker may have asked you to classify as a professional client. This may seem like a strange request, considering, most likely you are not a professional. But there is a reason for your broker to suggest this. At the beginning of 2018 ESMA (European Securities and Markets Authority) brought in rules to massively cut how much leverage can be offered by European forex and CFD brokers to retail traders. In this post, we look at how to navigate these rules and how to keep your high leverage on cTarder. Because ESMA is a supranational financial regulator for the European Union, their legislations overrule and govern all national competent authorities in the EU such as the FCA or CySEC for example. This means that all forex and CFD brokers regulated in Europe are required to adopt any changes made by ESMA. Moreover, this new leverage rule affects traders outside of the EU in the event that they are trading with a broker that is regulated in the European Union. ESMA proposed these new rules in a consultation paper issued on the 18th of January and gave the opportunity for industry participants to respond to their call for evidence. ESMA gave until the 5th of February to respond, i.e. 12 business days. During that time many traders as well as their Forex, CFD and Spread Betting brokers were very vocal about the proposed changes. What was the Public Opinion? The very well known online trading provider IG Group spearheaded the campaign to collect the opinion of the public. While some of the proposed measures were well received, cutting leverage was far from one of them. IG’s survey collected 14,605 responses, of them 98.1 % were against the proposed leverage restrictions and 1% we neutral. More interestingly, 57% of those respondents claimed they were very likely going to find a broker which is not regulated in the European Union to get higher leverage. This means ESMA will not be able to protect those traders. Regardless of the public sentiment, ESMA came to the conclusion that high leverage is a risk for traders, especially for volatile markets. So they brought in the following measures which significantly restricts forex and CFD leverage on cTrader and other platforms. This looks very different from the leverage limits that were available and still are available from offshore brokers. Your next question might be, how do I keep my high leverage? See the next section. There are two very plausible ways for you to keep your preferred rate of leverage on cTrader. Because ESMA’s rules only affect brokers who are regulated in the European Union, brokers outside of this jurisdiction can continue to offer leverage at a much higher rate. 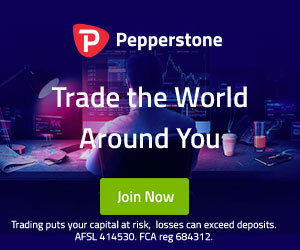 Some Australian broker like Pepperstone will not allow you to open an account with their Australian entity because it conflicts with their FCA regulated entity which is governed by ESMA’s new rules. You may be thinking that trading with an “offshore” broker sounds risky, but that’s far from the reality. Tradeview Markets, one of our preferred cTrader brokers are regulated by CIMA, in the Cayman Islands. CIMA has very high standards and is very selective about offering a new license. Solution number one is to open an account with Tradeview Markets. You may have seen or heard your broker suggesting you classify as a professional trader, this is one of the loopholes that European brokers have found to circumnavigate the new rules from ESMA since they are only applicable to retail traders, by classifying as a professional, you declare as such and are not subject to high margin requirements. This may seem like an easy solution, but you should consider that when you declare yourself as a professional trader, you will lose many of the protections that are afforded to you as a retail investor, or consumer. As a professional, your rights are very different and disputes are handled in a very different way. In conclusion, if you trust your broker and have already been trading with them trouble free for months or years, this might be the best way for you to go. If you are a European citizen this option might not be available to you. As mentioned previously, your broker might not be able to open an account for you in one of their other entities due to a conflict with their European regulated entity which prevents them from doing so. However, if you are not an EU citizen, but your account is for example with the FCA or CySEC regulated entity of FxPro, you could request to move your account to their Bahamas regulated entity to take advantage of their higher leverage on cTrader.